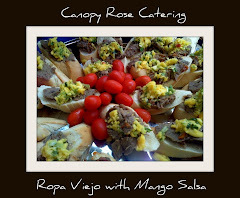 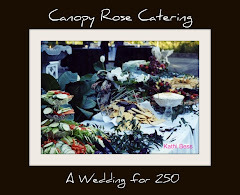 Elegant Weddings, Soirees and Special Events by Canopy Rose. 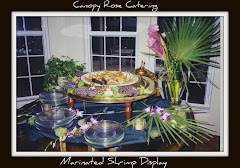 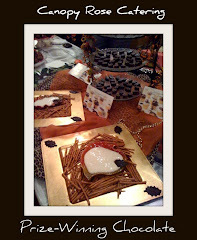 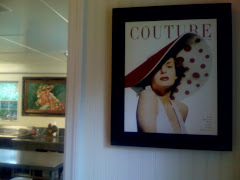 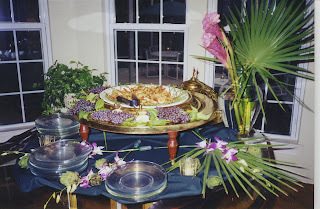 This photo shows a Tropical Shrimp Display created by Kathi Dameron for a catered party at a private residence in Golden Eagle ~ Tallahassee, Florida. 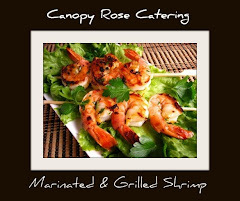 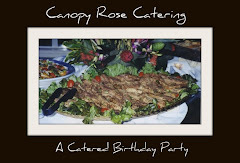 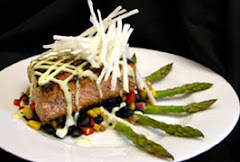 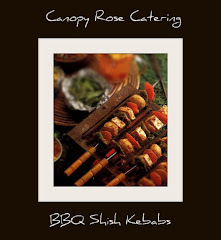 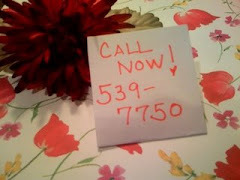 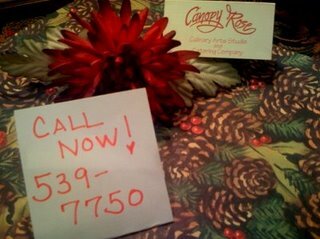 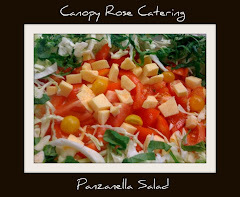 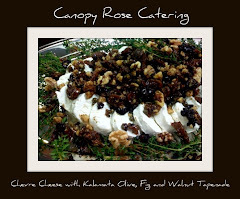 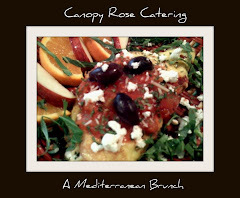 For a customized menu and theme for your upcoming 2008 special occasion contact the Canopy Rose Culinary Arts Studio and Catering Company at 850-539-7750. 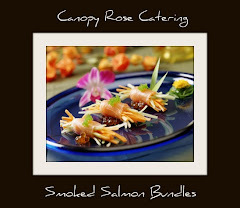 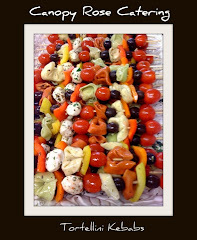 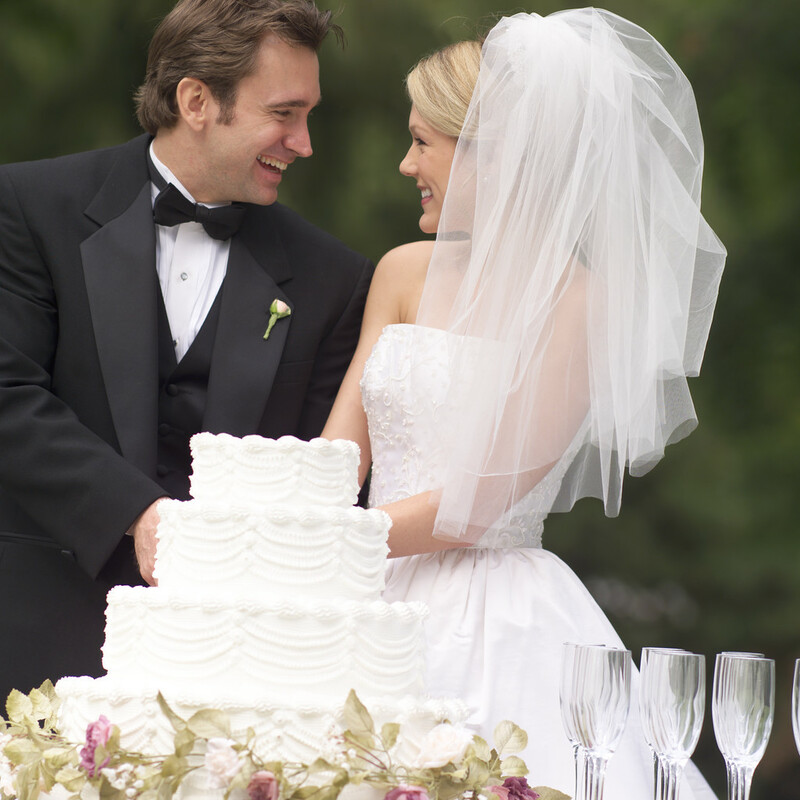 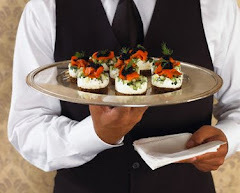 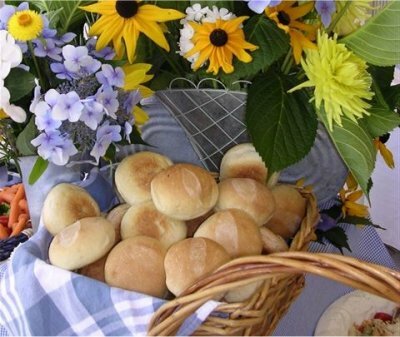 This popular full- service catering and special event business serves Florida's capital region, North Florida, South Georgia and the coastal areas of the Gulf Coast. 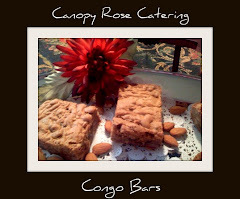 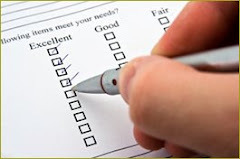 Straight Forward No-Nonsense Pricing Based on Cost of Ingredients and Materials plus Labor. 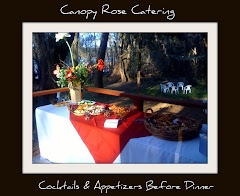 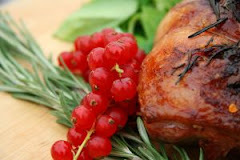 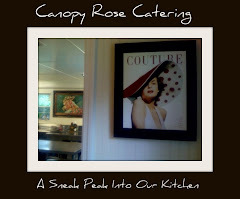 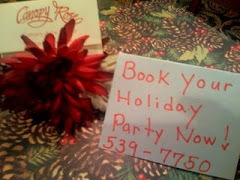 Parties by Canopy Rose look as if they were set up to be photographed for the cover of a magazine or book! 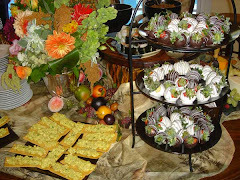 Wedding Receptions, Rehearsal Dinners, Bridal Showers, Bridesmaids Luncheons, Engagement Parties, Welcome Home Receptions, Anniversaries, Birthday Parties, Graduation Parties, Housewarmings, Funeral Receptions.